Organize and declutter. 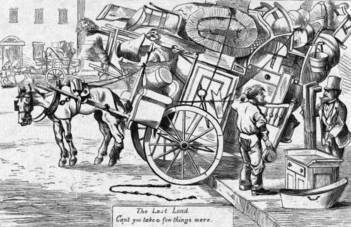 There are a lot of online websites, lists, and books on organizing and decluttering—some examples include lifehacker.org and becomingminamalist.com. Find and follow the approach that works best for you. Make sure to give yourself adequate time for decluttering so you’re not feeling pressured to unnecessarily pack or discard things at move time. Use, donate or sell. Use up food in your cupboards, fridge or freezer, or donate to a local food bank. Use email, Facebook or sharing sites like NextDoor.com to let friends and neighbors know of things you’re trying to sell or give-away, and/or hold a moving sale. Twin Cities Free Market, Freecycle, and Craigslist are also worthwhile places to list things. Properly dispose of household hazardous wastes. Check with your county or city or use the MPCA’s online search tool for information on where to safely dispose of paints, lawn care products, pesticides, and similar items. Don’t flush expired or leftover medications down the drain or toilet. They can end up in lakes, streams and other water bodies, where they pose a hazard to fish and other wildlife, or even in your drinking water. Refer to the MPCA’s Managing unwanted medications webpage for information on how to dispose of them safely. Hennepin County just released a cool new resource. The Donation Opportunities brochure (PDF) provides information on organizations that accept donations for a wide variety of items. Also check out the county’s factsheet—Reducing waste and recycling during your move—for some excellent suggestions and guidance. Creatively use what you have. Ditch the bubble wrap and packing peanuts! In their place, try packing with blankets, sheets, towels, clothing, and similar items that you already possess. My nephew, Zac, is a devoted bicycling enthusiast and environmentalist. When the time came to move from his former home to a new one several miles away, he lined up a contingent of cycling buddies to help him move belongings—couch and all—using bicycles and trailers. Zac’s zero-carbon, human-powered move was an accomplishment that I still marvel at years later. Even if bike moving isn’t your thing, there are still plenty of ways to reduce your carbon impacts. You may be tempted to chuck boxes and packing materials in the trash or recycling bin asap after moving. Instead, try finding new homes or uses for them. Let friends and others know that you have boxes available or advertise them on Craigslist or similar websites (refer to "Use, Donate or Sell" above). You can also try donating materials to shipping stores. 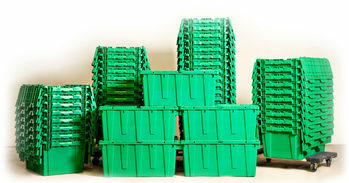 Depending on the quality of your boxes, you may be able to sell them on one of the online box broker sites. 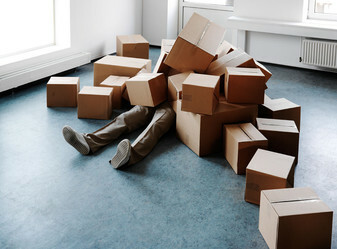 For more information, see 7 Ways to Get Rid of Moving Boxes After You Move. Skip the individual mini-fridge or microwave, which can use a lot of energy. If available, use your dorm’s shared kitchen facilities, or consider sharing an energy-efficient unit with dorm friends.. Minimize stuff. Too often, stuff that seems cool and necessary at the beginning of the school year becomes waste by year’s end. Only bring what you really need and will use. To avoid duplicate purchases, coordinate in advance with roommates on who's bringing what . Eco Experience at the Minnesota State Fair. August 25-September 5, 9 a.m. to 9 p.m. daily. The Eco Experience is a huge exhibit at the Minnesota State Fair, filled with hands-on activities, demonstrations and resources. New exhibits this year include the “World’s Biggest Bike”, the Paul Bunyan Eco Zone, a living (green) wall, and much more! Want to earn a ticket to the fair? Volunteer as a playworker at the Eco Experience nature play area! Volunteers are needed for 3-4 hour shifts to engage with families and ensure safety. For more information, see Playworker Eco Experience.